Our tips & advice to keep your garden beautiful! Q. I have a dracaena spike plant that is in a porch-railing container outside. I am amazed that it’s still alive and looking great. I read an article that said it will stay evergreen in zones 9-10, but I live in zone 5, and we have had some very cold weather. I have the plant facing west and I haven’t watered it since late fall. Do you know why it’s still alive? It’s so important to remember that the best way to avoid wilted plants and dead plants duirng winter is to bring ’em in, which we wrote about earlier. We’re afraid that the Dracaena is frozen and just appears to be alive. Once warm weather returns, it will start to deteriorate. Many folks have had this happen with dracaenas and many other plants left outside during winter. They looked good, and as you observed, appeared to be alive. But in spring the plants wilted and turned to mush once they thawed. Now is a good time to think about how you want to fill that container, and do yourself a favor . . . add a note on your November 2011 calendar reminding you to bring in your containers! Icicle Pansies and Violas are GardenWise! You can plant these fantastic, eye-catching Icicle Pansies and cover yourself for the following Spring, GUARANTEED. You’ve gotta love a flower that comes with a guarantee! Garden beauty in summer ’11 and Spring ’12 from spectacular ICICLE Pansies and Icicle Violas, which are bred for cold climates. This tough breed will survive the harshest winters, which means, again, you’ll be set for next spring, guaranteed. Make your plans now! Don’t call the fire department because that’s not a fireball in your garden! The Dwarf Burning Bush (Euonymus alata “Compactus”) is a low-care, beautiful shrub. With its upright, bushy and vase-shaped habit, it’s a Fall garden’s best friend with its brilliant and intense fiery scarlet Red foilage. Your guests will do a “double take” when they see your Burning Bush as it really is that visually appealing. It is such an incredible garden wonder, it can serve as your Fall focal point. 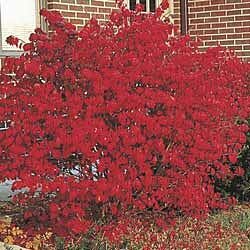 The Burning Bush ranges from 6-10 feet high, and 6-10 feet wide, and it’s insect, disease, drought, heat, AND deer resistant, and tolerant of shade (but for the most intense fall color, plant it in full sun. ) It’s also versatile enough to use as a hedge screen en masse, so you can block an unsightly view while setting your landscape ablaze with color! This weekend it’s all about September Gardening. There are so many things to do this month that we’ve decided to make it a three day event. Today, it’s all about water and your garden spaces. · Maintain the water level in your water garden. 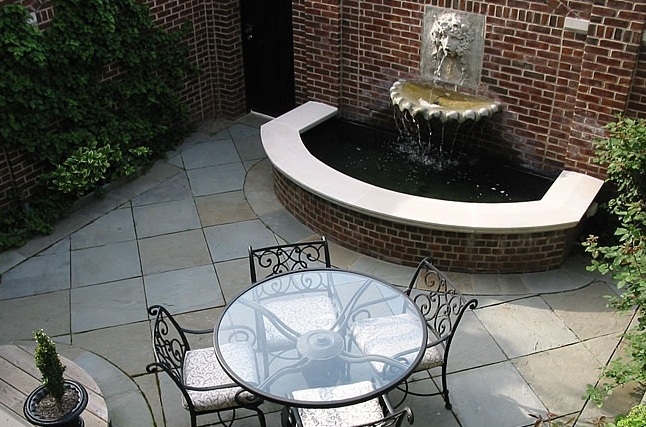 Keep fountains and water features properly maintained. As we approach winter, be sure your water features and are in good working order before you drain them and turn them off as the colder weather approaches. · Replenish mulches around trees and shrubs, and water every two to four days, three times a week if possible. · Late summer. Mature trees can lose hundreds of gallons of water daily through transpiration; unless this lost moisture is replaced, the trees will lose fruit and leaves. Be sure to water the trunk of your trees and the upper canopies as well. Water generously this month, especially after the hot summer we had this year. Mow around the trees to remove vegetation that can use the trees’ moisture. Mowing also creates a smooth surface for harvesting. ·A dry month. September can be very dry, so keep a close eye on the moisture in your container plants. It doesn’t take but one severe wilting of the plants to ruin the quality of the container display. This weekend it’s all about September Gardening. There are so many things to do this month that we’ve decided to make it a three day event. Today, it’s all about pruning, soil testing and fertilizer! 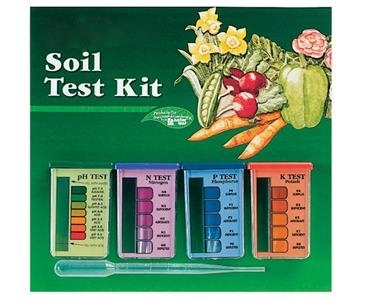 · Take soil test for new planting areas. DO NOT pay others to do this for you; Ph soil test kits which provide accurate results can be picked up at your local garden center. · Now is the time to fertilize your grasses according to the soil samples. Do not fertilize warm season grasses. · Rejuvenate heat-stressed geraniums and begonias for the fall season by lightly pruning, fertilizing and watering. · Do not cut back perennials until their leaves and stems have lost all green color. · Prune out dead or diseased wood from trees and shrubs. Hold off on major pruning until mid-winter. Pruning now may stimulate tender new growth prior to frost. 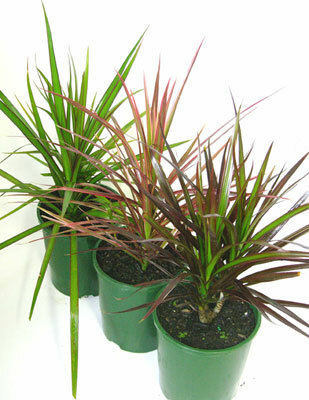 · Take it Indoors and Prune houseplants that grew vigorously during the summer while outdoors. This week and weekend it’s all about September Gardening. There are so many things to do this month that we’ve decided to make it a three day event. Today, it’s all about planting. · Fall is a good time to select and plant trees and shrubs. Fall planting encourages good root development, allowing the plants to get established before spring. Plant deciduous trees on the south and west sides of buildings to provide summer shade and to allow the winter sun to warm the buildings. · Plant spring-flowering bulbs from late-September to late-November. Add bone meal or bulb fertilizer into the planting hole, as you prepare the soil. · In a well-prepared bed, seed radishes, spinach, mustard, collards, arugula, beets, broccoli, carrots and lettuce in early September for a fall crop. · Plant new strawberry plants at the end of the month. · Lightly till soil and plant wildflower seed mixes now for spring displays. The key to success is to make sure plants have enough time to germinate and establish before the first hard frost. That’s usually about eight weeks. They are naturally adapted to and benefit from fall rains and cold winter soils. Mixing wildflower seed with an equal or larger volume of sand will help you sow them more evenly. · For areas left open until next planting, consider a cover crop to be turned under in the spring to help improve the soil. · Winter pansies, snapdragons, pinks, flowering kale, flowering cabbage and fall mums may be planted now to give a little color to the garden when the summer’s flowers have faded away. · Lift and divide crowded perennials. Amend the soil with organic matter before replanting. Set the divided plants back into the soil at their original growing depths, water well and mulch. Give extras to friends. · Check to see if potted tropicals like hibiscus, allamanda, ixora or mandevilla need repotting before bringing in for the winter. Gently ease the root ball out of the pot. If the roots are visibly matted around the bottom or sides of the root ball, it is time to pot into a larger container. · Cool-season turfgrasses, like Kentucky bluegrass, tall fescue and creeping red fescue can be seeded September 1 until November 1. All established cool-season lawns should be fertilized once this month. Do not fertilize warm-season lawns (Bermuda and zoysia) now. Over-seed old lawns with fresh seed to help fill in the bare spots and crowd out weeds and mosses. If you over-seed your warm-season lawn with a temporary winter lawn grass like annual ryegrass, the optimum dates to do this are September 1 until November 1. · Plant some spring-flowering bulbs in pots to enjoy over the winter. If you intend to force early blooming for the holidays, put your bulbs in the refrigerator now. Compost in the City — It’s GardenWise! What is composting: It is a process that occurs when microorganisms, like bacteria and fungi, digest organic matter such as leaves, grass, and food scraps. The by-products of composting are heat, water vapor, and carbon dioxide, and at the end of the process you are left with a nutrient rich, soil-like substance called com post. 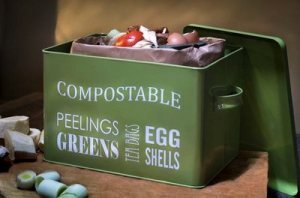 Why should someone start a compost bin: Composting has a lot of great environmental, physical, chemical, and biological benefits; it reduces the amount that you throw away due to distasteful orders, and fruit flies caused by rotting food. By containing it and disposing of it on your own property you use the “green” method to convert waste into useful soil, in which you can start a garden, or add to house plants as a natural fertilizer. For those with kids, starting a bin could be a great science project. If you’re lucky to have a yard, try using Tumblers for composting. They’re made out of plastic, less labor intensive, keep the materials out of site and are great for small spaces. Since this does not have contact with the ground, remember to add a shovelful of soil to the mixture to increase the diversity. If you don’t have a yard, have no fear! There are ways to still have a compost bin. If you are the hands on type, try our method above and create your own. If not, there may be places located near you to you set up and even collect your own compost. In DC there’s a wonderfulcompany located at compostcab.com.